The STARS – Singers Taking Action Reaching Souls » Let’s Bring the South African Youth Choir to the US! 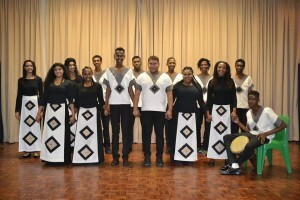 Let’s Bring the South African Youth Choir to the US! T.I.M.E. hosts The South African Youth Choir for our 3rd Annual International Music Exchange Program! In 2015, we hosted Kenya’s Safari Voices International (SVI), a fifteen-voice ensemble that gives soul-stirring performances and shares our vision for raising the vibration of our human family through song. In 2016, we hosted Kenya’s Light the Future Choir, an eighteen voice ensemble whose youthful exuberance is thrilling to experience. With the support of individuals and corporations, our intention to bring these groups to America was fulfilled! We are happy to announce that our 2017 exchange will be The South African Youth Choir, a sixteen voice ensemble whose presence is unforgettable. Our intention, with your support, is to host these young singers in October 2017 for a 10-day concert tour through New York, Las Vegas, Palm Desert, Los Angeles & Minnesota.